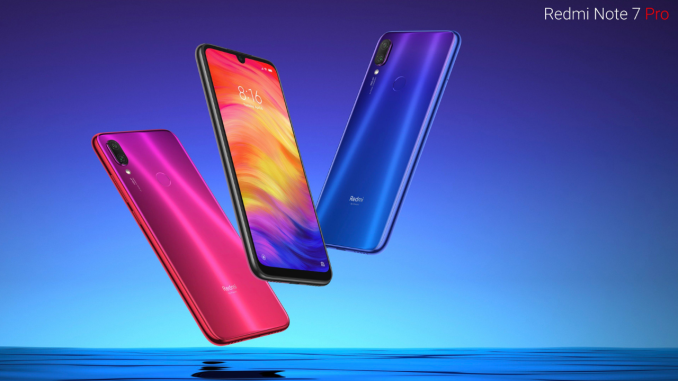 The new independent smartphone brand of the industry – Redmi unveiled the Redmi Note 7 Pro in the Indian market last month and the device is coming with really good specifications and it impresses the users who love to purchase a budget oriented smartphone. Well, today the company has officially announced that it will be available only in the Indian and Chinese market. John Chen, Regional Director for Southeast Asia of the company confirms that the smartphone will not be launched in the global markets and that means the smartphone will available in the markets of India and China. You can read the specification details of the smartphone below. The smartphone sports 6.3-inch IPS LCD display with Full HD+ (2340×1080) resolution and 409ppi. It has 19.5:9 aspect ratio with dot notch on the top. The front, as well as back of the phone, is covered with Gorilla Glass 5 protection with 2.5D curved glass. It comes with Qualcomm’s new Snapdragon 675 octa core processor clocked at 2.0Ghz along built on 11nm process. For gaming, it has Adreno 612 GPU. It has 4/6GB of RAM and 64/128GB of internal storage along with expandable storage. On the camera side, it has a dual rear camera setup with a whopping 48MP primary camera. It’s not the Samsung ISO-Cell sensor, but the much better Sony IMX586 sensor. It has an f/1.79 aperture, 0.8mm lens which converts into 1.6mm lens with superpixel binning, EIS, and PDAF. The secondary camera is a 5MP depth sensor with an f/2.4 lens. It can record videos up to 4k at 30fps and 1080p at 60fps. On the front, there is a 13MP sensor with a front portrait as well. This device has those AI camera features like scene detection, studio lighting, etc. This Redmi Note 7 Pro runs on Android 9.0 Pie out of the box with MIUI 10 on top. It packs in a 4000mAh battery with Quick Charge 4 support. The fingerprint sensor is placed at the back. For connectivity, it has dual 4G VoLTE, dual-band Wi-Fi, Bluetooth 5.0, GPS, IR Blaster, FM Radio, 3.5mm headphone jack, and Type-C port. The pricing of the smartphone starts at ₹13,999 for the 4GB + 64GB variant, whereas the 6GB + 128GB variant at ₹16,999. The smartphone will be available via Mi.com, Flipkart, and Mi Home stores, with select offline retailers.